It should then show up as a removable device but will need reformatting to fat32 (i think this is right for windows) before you can use it as a hard drive. The data transfer may be a little slow through a usb card reader so I would recommend buying a CF to IDE adaptor and have it internal if you thinking of using it permanently as a hard drive. Some MP3 files play, other don't. could be an issue with the format of the file .. or could be that there is a virus on the computer attaching itself to the mp3 hence the player is not able to read them .. but the system is able to play them anyway. try downloading a new file and see if that works. if that file is working fine . .then there could be issues on the computer causing the files to be unusable. call - 1-877-805-1027 for expert assistance. Two wire are needed to attach a new hard drive. 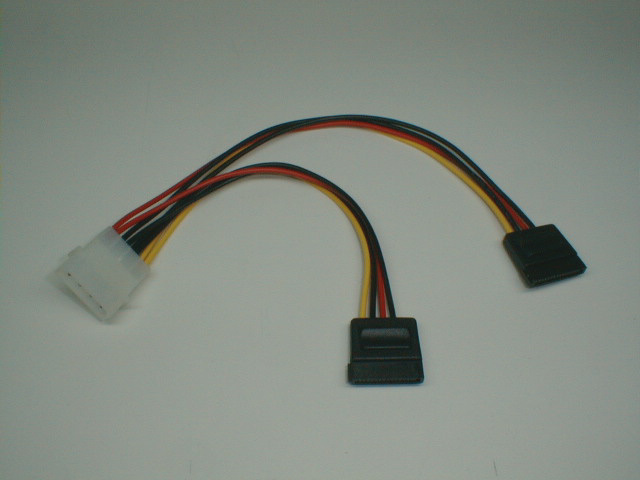 Please refer to the links below ,to see how the attaching cables looks. Try to hear if the hard drive is spinning. If yes then open Disk Management. 1. Open the Control Panel 2. Open Administatice Tools 3. Open Computer Management 4. Choice Disk Management. Check if you can see the hard drive there if not is probably dead. Amazon has them under 1.8 inch Hard Drives. That is what mine is, but it is expensive. zens are also used as hard drives try to recover the songs thru the my computer plug it in and then drag and drop from the mp3 to the pc then do the recovery again. if you dont get another drive to pop up in my pc when you plug it in then you will still have to do the recovery but will loose all the songs. also the player is a hard drive i know there is a way to hook it up as just a hard drive not a mp3 player but you will have to get info on how to do that. we broke mine open and the hard drive has a weird connection that cant just be attached to the pc you would have to find a adapter from the cord they use to the pc maybe usb. i gave my creative vision m 30 gig to my neighbor to play around with he might know actuall will know how to connect it to the pc to use as a hard drive he is at work right now if you cant drag and drop off the hard drive folder where the usb drive shows up below the pc hard drives and cd dvd drives in the my computer folder. thats how i use to put and take off songs thru my pc to the mp3 then let me know before you do the recovery he will be stopping by in the next cupple days and if you let me know you need more help i will have him tell you how he did what he did to use it as a hard drive. however if you do that you will not have a warrenty if you have one. so another option is to take it in and ask them to recover your songs then do the recovery. id say try a small pc shop first then best buy type of stores it will be cheaper if not free if you go to the small stores. please let me know if you need more help. Verbatim external 640gb harddrive is unreconised.CONSTANTLY. If this doesn't work, then I suggest using a few google searches.. Try taking out the hard drive and see if your pc recognizes it. If not then try flattening it (could take some time!) and recharging it multiple times. If it does not recognize then I'm afraid there is probably something else wrong with it that probably involves the main circuitry and I can't help you with that. try to use another connector! and try connecting it to other USB ports!